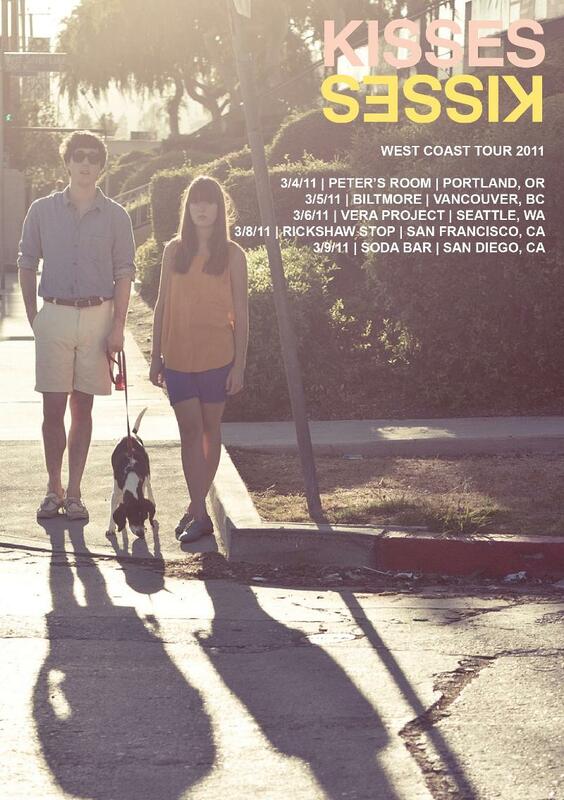 Los Angeles indie pop duo Kisses will make their return to San Diego this Wednesday at the Soda Bar. Having missed their first live performance here, there will be no repeating that occurrence. The group is comprised of Jesse Kivel, one the twins from the band Princeton, and Zinzi Edmundson, keyboardist and complementary vocalist. It is like the couple (they are dating) traveled in a time machine back to the disco era of the 70's. The first full length, The Heart of the Nightlife, was released to positive reviews last year. The melodies are as sweet as anything you will hear, and Kivel is able to give the listener what he/she wants, which is innocent melodic songs. Tim Sendra (All Music) stated the vocals reminded him of Jens Lekman. I wholeheartedly agree and mention that this is a very good thing. Even the album cover art takes one to a bygone era, one filled with promise and innocence. These youngsters seem to be having a good time and in a time when stress fills people's daily lives, it is wonderful to have this music to escape with. Perfect music for sunny breezy afternoons or any time of the day one prefers. If you are feeling the midweek blues, this performance should provide the perfect cure. Hosannas and White Apple Tree set the stage. Watch a video of Kisses below.